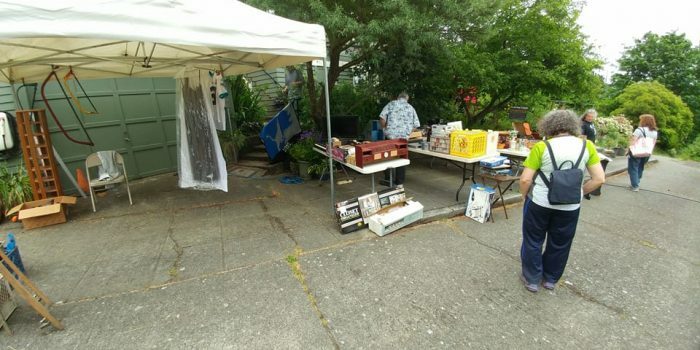 On June 3rd, 2017 we partnered with our good friends at Phinney Neighborhood Association , joining their Annual Garage Sale Day event. 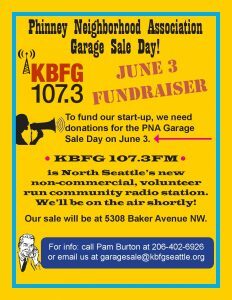 This was a great success as we had members of the local community donate items for us to sell, and all of the money we made that day from sales went to KBFG, to help with our station funding. 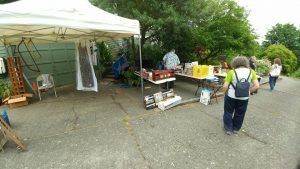 THANK YOU to everyone who not only donated items, but all the shoppers who stopped by that day! We met lots of people from the community and many of them got a better idea what KBFG is all about. We’ll see you again next year!